David Attenborough presents the guillemot. Tweet of the Day is a series of fascinating stories about our British birds inspired by their calls and songs. David Attenborough presents the Guillemot. 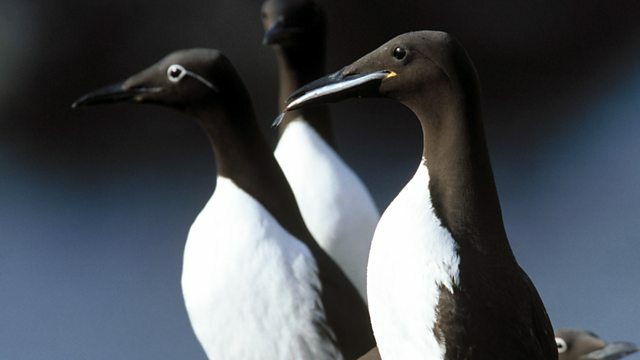 Guillemots breed on cliff ledges and the chick is encouraged to make its first flight at the pointing of fledging by being encouraged to jump by its mother or father calling from the sea below.